Digital transformation is one of the largest buzzwords when it comes to companies and the major changes they are trying to do in their businesses. It is generally thought as the change related to the application of digital technology in all aspects of human society. It changes the organizational activities, competencies, models, and processes of a business and other organizations to take full advantage of the benefits of digital technologies. However, there is no clear comprehension of the enormous impact that digital transformation has across societies. 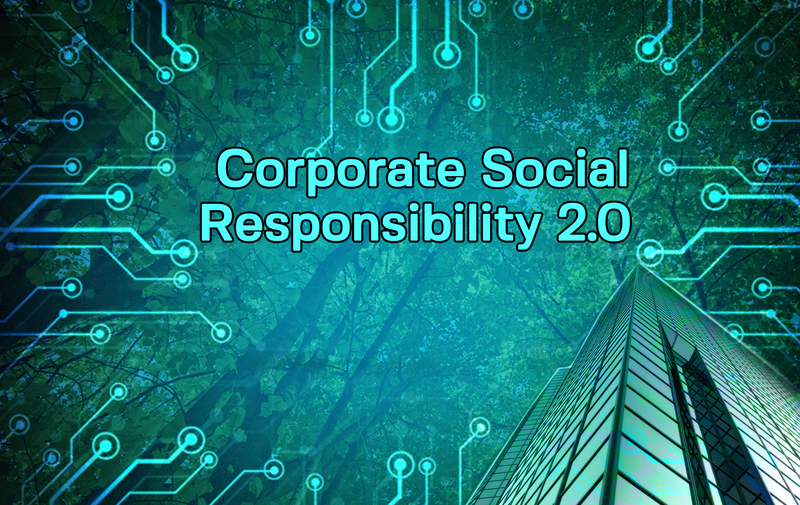 Some are now referring to this bold global phenomenon as Corporate Social Responsibility 2.0 and the Fourth Industrial Revolution is accelerating its impact. Although digital transformation is changing companies, it also has a radical and unintended impact of saving the planet. There is often an association between digital transformation and a business context. It also impacts other sectors, including the government and other organizations that handle social problems such as pollution and an aging population. It is done by utilizing existing and emerging technologies. In other countries, digital transformation aims to impact all aspects of human life. Seen in Japan’s Society 5.0 is the big plan to transform the society. After carrying out Industry 4.0, which is the digital transformation of manufacturing, Society 5.0 aims to take on the challenges by going even beyond the digitalization of the economy. It is moving towards the digitalization across all levels of Japanese society. Most people speak of digital transformation mainly in the context of business dimensions. They equate digital transformation with the development of new competencies. These give rise to the capability to be more agile, innovative, people-oriented, streamlined, customer-centric, and every other trait needed to change the old order and take the business into new service- and information-driven revenues. Digital transformation strategies are formulated in a market environment with a high level of commoditization. Corporate Social Responsibility goes beyond improving a business’s environment. Streamlined business practices due to digitalization will lead to a wide retrenchment of workers. At the same time, there will be new jobs which never existed before. As an example, internet marketing has created new job titles including social media manager, data analyst, business analyst, WordPress theme developer, search engine optimization specialist, and others. These are rapidly growing in demand, and the first generation of employees for these positions was largely self-taught. Nowadays, training for the skills necessary for these jobs are available in schools and online. To think that there is a limitation of digital transformation to the business domain. It is narrow-minded and short-sighted. Companies that have engaged in digital transformation thought of solutions which were “out of the box.” They were not limited to specific problems in a process. They thought of the whole system and initiated enterprise-wide solutions, including those transformations which are not part of the company. This is where the non-business aspects of digital transformation come into play. Digital transformation has helped lessen the waste and pollution in the workplace. Companies have espoused paperless offices as well as streamlined processes. Paperless meetings have also become the norm in these companies. Sustainability initiatives include the use of green energy sources like solar power and wind turbines. Companies are now taking the cudgels for taking care of the environment by promoting sustainability. Another tangible benefit of digital transformation is the scaling back on the use of paper. Whether through Salesforce’s invention of Cloud Computing or Cloud storage/service providers like Dell or Microsoft Azure, these companies have contributed significantly to the elimination of the use of paper and the cost of storage and shredding. Further, businesses such as Dropbox also gave everyone the convenience of accessing documents from anywhere and in a paperless manner. The documents are instantaneously available and there is no need to print them. Another value is the conservation of energy. Less paper used means less energy spent on paper production. Additionally, as companies implement new business processes this automation often streamlines functions and operations. They use less energy on their own. These include automated workflow of documents from one person to another, or systems that have been implemented to better monitor and control temperatures across a company’s facilities. New processes affect the way people think. Digital technologies are collaborative in nature. These include working on the cloud, information passing, messaging with file transfer facilities. These technologies are also media dependent, with videos, infographics, charts, audio, text snippets, and others. These transformations did not necessarily begin with any business-oriented transformation. 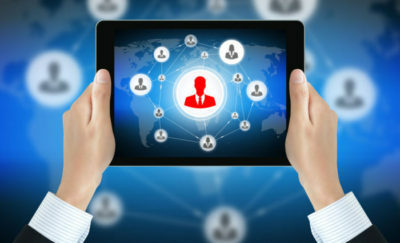 When the iPad and iPhone became popular, rules for bring-your-own-device (BYOD) were created and implemented allowing people to use their choice of devices for the office. The use of smartphones started in civilian life and was integrated into the business process because it proved to be more efficient. Side effects of digitalization abound. With self-driving cars and smart highways, up to a million road fatalities could be prevented every year. The estimate for full digitalization for circular economy models could open up a windfall of up to $4.5 trillion in growth by 2030. The opportunity exists but there will be trade-offs. Digital technologies have permeated the personal lives of people. It introduced evolutions and changes in government and society. Technological evolutions and technologies have become part of everyone’s lifestyle, from the use of the cloud, artificial intelligence, mobility, and the Internet of Things. They have reshaped the way people think and act, including the way they approach problems and challenges. Turning learning into action gives a business a competitive edge. 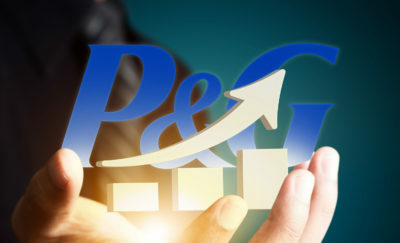 With company growth, there is also the drive to find or create new markets. Globalization goes hand in hand with company growth. What is different nowadays is growth with a conscience. Companies are expanding to new markets and territories but are also taking on the burden of these new markets. Newer markets are usually in developing countries where the market is inherently poor. In such an environment, social concerns are more important to the mind of the locals. They are more concerned with poverty, sanitation, housing, potable water, education, and health care. The countries themselves face problems with limited resources which have to be meted out between the cost of energy, water quality, and pollution. A company coming from a first world country needs to address these social concerns and help potential customers. In so doing, helping others can lead to new opportunities. Addressing these issues help the population and in so doing, also help create an environment where the people can buy the company’s products. There is a thick bond connecting social responsibility and economic opportunities. Digital transformation can help jumpstart the local economy, allowing them to skip some parts of social development. These technologies can include solar energy mini-grids, drones for mapping, and cloud computing for studying clean water solutions. The same approach towards social responsibility creates a socially conscious market, which also leads to more socially aware employees. One of the driving force behind a culture of corporate social responsibility (CSR) 2.0 are the millennials. Their drive comes from a need to be more than just corporate drones, but also responsible citizens. It also helps that they account for $1 trillion worth of US consumer spending. CSR is vital to their corporate identity. A great example of this is the 1-1-1 Philanthropic model that Salesforce created. This is based on a simple idea: Leverage their technology, people, and resources to improve communities throughout the world. They refer to it as their integrated philanthropic approach and since its founding, they have given more than $168 million in grants, 2.3 million hours of community service, and provided product donations for more than 32,000 nonprofits and higher education institutions. CSR is also an important aspect of brand perception for millennials. They respond to concepts of trust and loyalty in brands. A recent study also showed that more than half of 13- to 25-year olds would refuse to work for a socially irresponsible company. Another study, this time by the Society for Human Resource Management showed that a company’s social impact has an effect on the loyalty and morale of its employees. The research findings indicated that 55% of businesses with strong sustainability programs had better employee morale. Forty-three percent had a more powerful public image and more efficient business processes, with 38% experiencing better employee loyalty. Embracing digital transformation is one of the best ways to reinvent your business. Sustainability and environmental responsibility go hand in hand with digitalization. It allows management more time and resources focused on their environment, awareness and how they can help improve their community. Digital transformation, when fully adopted by everyone, is a major bold transformation that will have lasting impacts to society and our planet. Businesses, with their far-reaching influence on the lives of the people, are in a better position to lead the utilization of digital transformation. I will help promote sustainability essential for the survival of the planet. Glyphosate in Food and Its Impact to Our Health: Are the Risks Being Downplayed?